Viking Books for Young Readers, 9780670016549, 40pp. When the girl became a young wife and mother, she wrote her goals on a scrap of paper and buried them in a can—an ancient ritual that reminded her that she couldn't give up on her dreams. Dr. Tererai Trent grew up in a rural village in Rhodesia, a region now known as Zimbabwe. She is a scholar and humanitarian who travels all over the world to speak about the importance of a quality education. In 2011, she started a foundation to bring educational opportunities to children growing up in her hometown. Tererai now splits her time between central California and Zimbabwe. 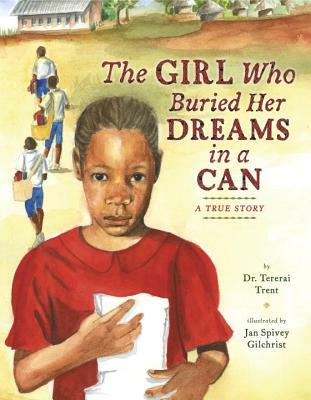 To find out more about her life and her foundation, Tererai Trent International, please visit www.tt-international.org/. "Watercolor illustrations and compelling language and imagery round out this inspiring story." —School Library Connection, starred review!